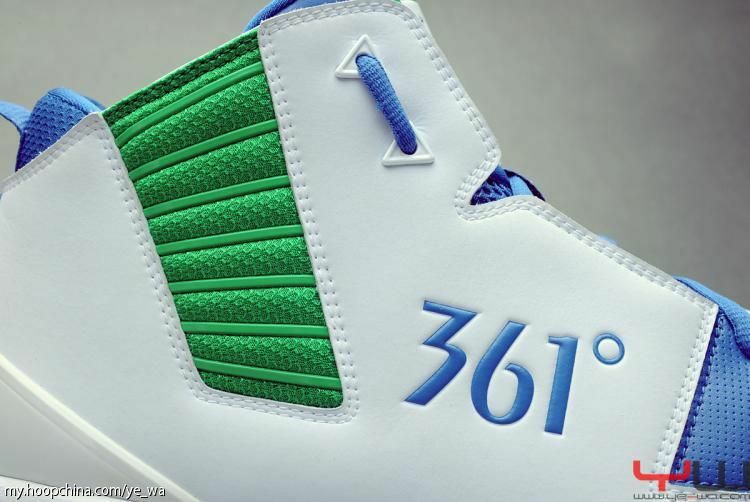 A detailed look at Kevin Love's first signature shoe under the 361 Degrees brand. 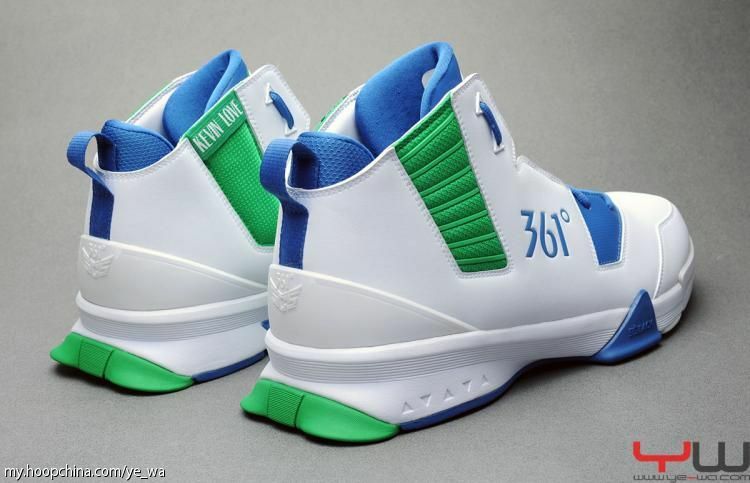 This past summer, Minnesota Timberwolves forward Kevin Love announced that he signed a new endorsement deal with Chinese upstart 361 Degrees, ending his short relationship with fellow Chinese brand PEAK. 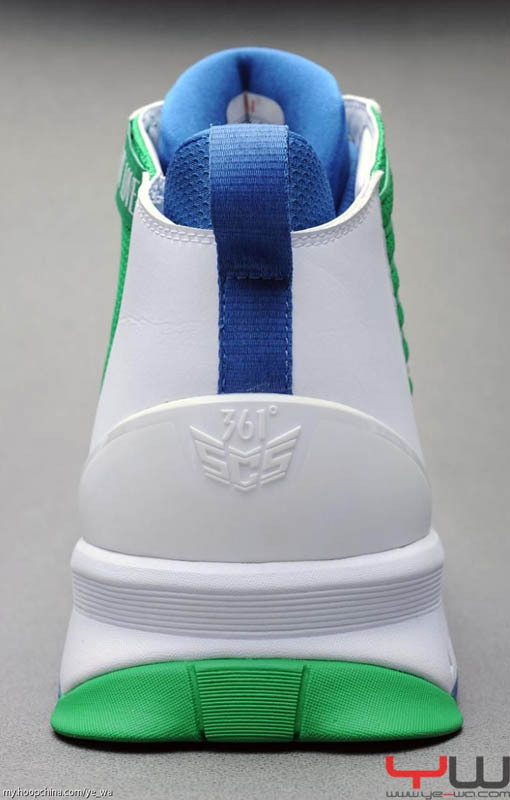 Established in 2003 and officially listed in 2009, 361 is one of the fastest growing sportswear brands in China, carried in more than 7,200 locations throughout the country. 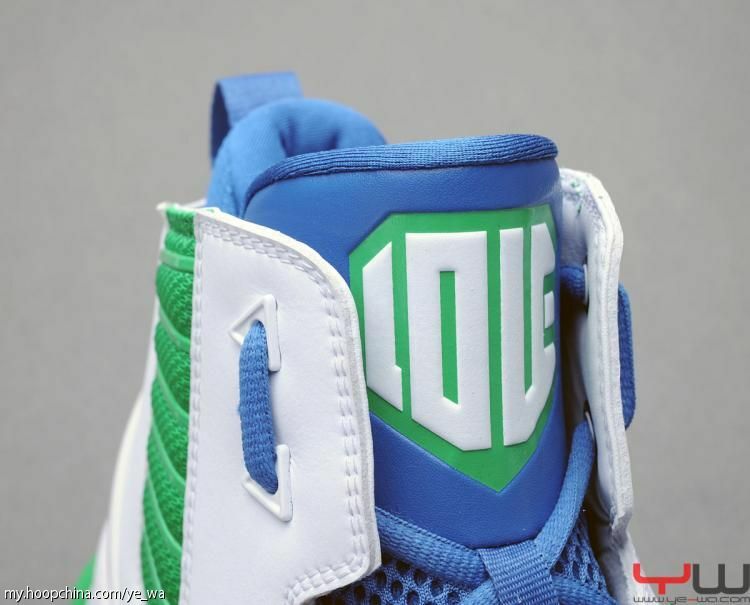 According to a report by Forbes, 361 is the third largest of China's "Big Five" sportswear brands, which include Anta, Li Ning, Peak and Xtep. 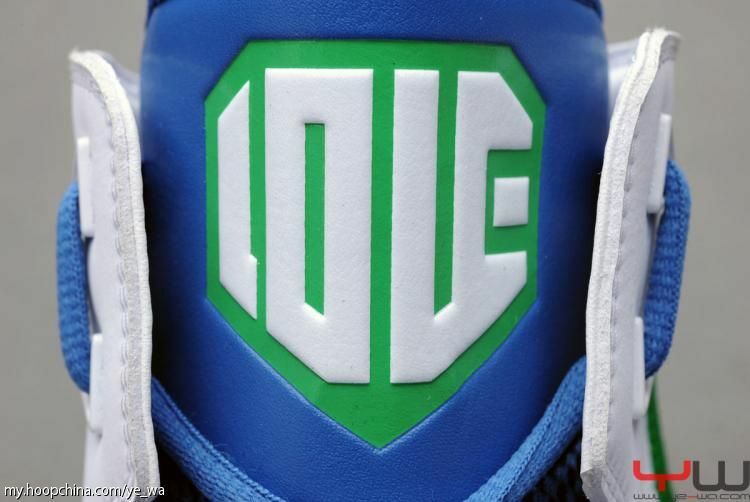 For the last couple years, 361 has operated under such slogans as "One Love" and "Love Starts Here," making their acquisition of the NBA's reigning rebounding champ a perfect fit. 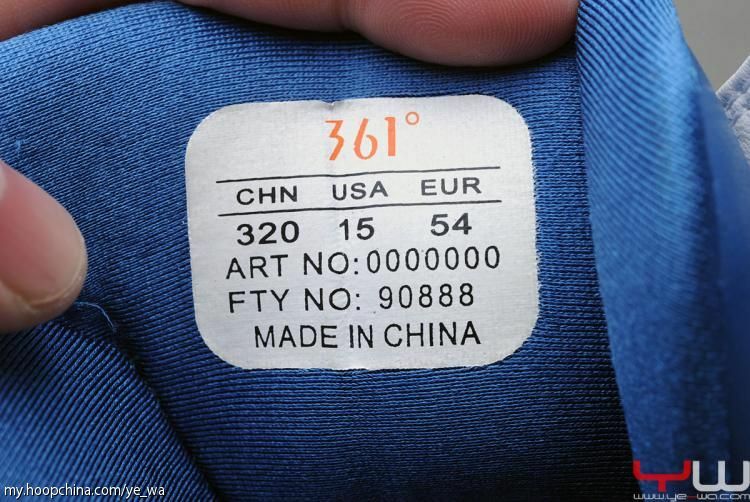 For the most part, stateside consumers are unfamiliar with 361 and the products they offer. 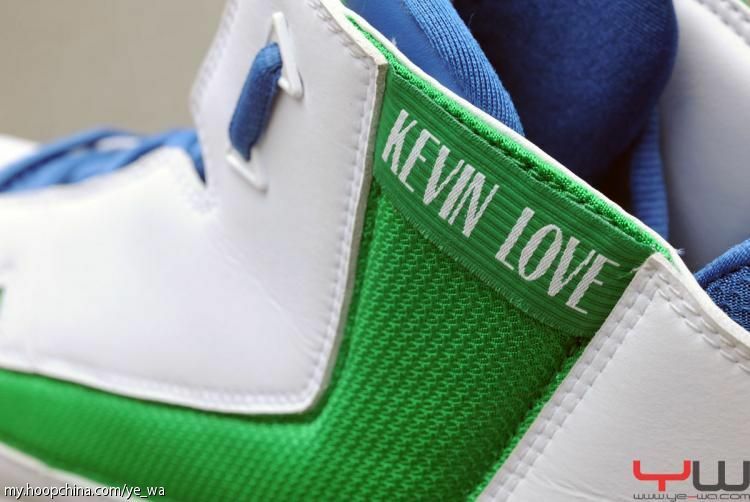 Today, we get a look at the first Kevin Love Player Exclusive shoe created by the company. 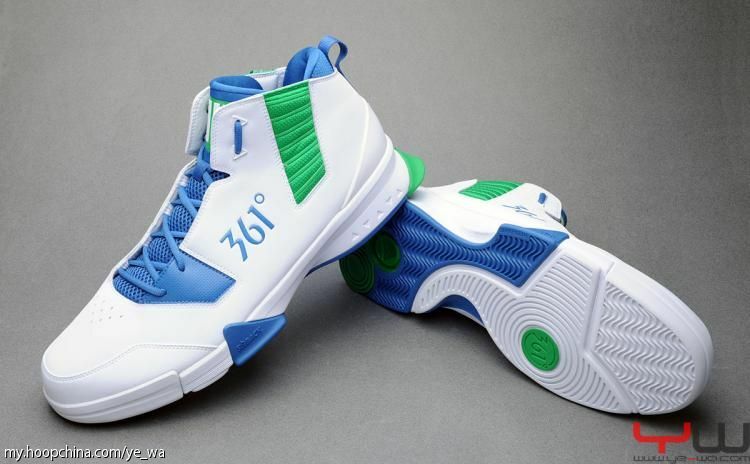 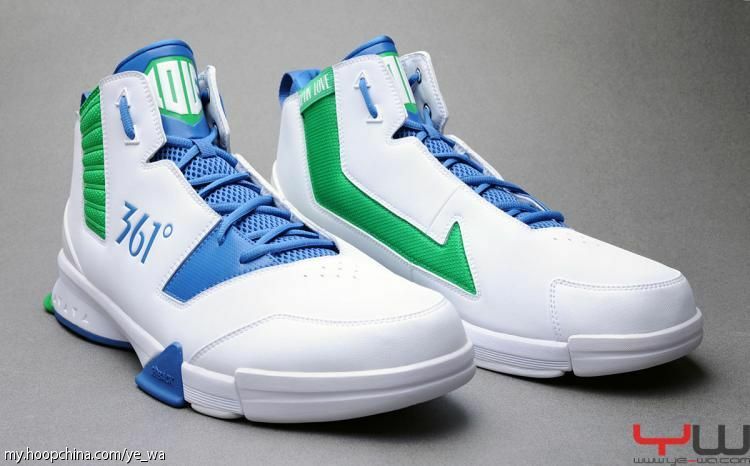 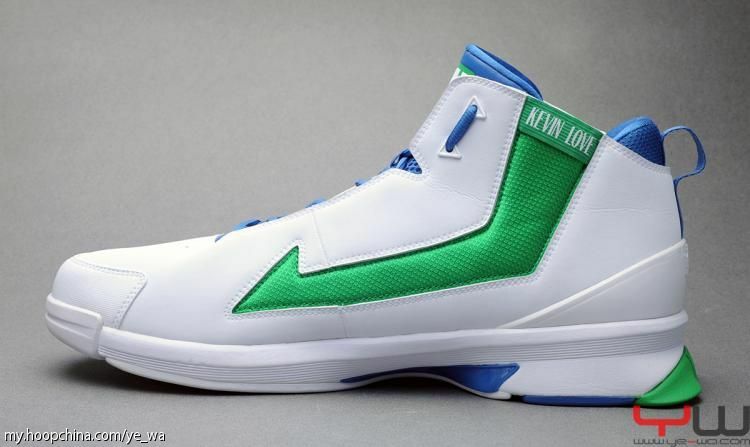 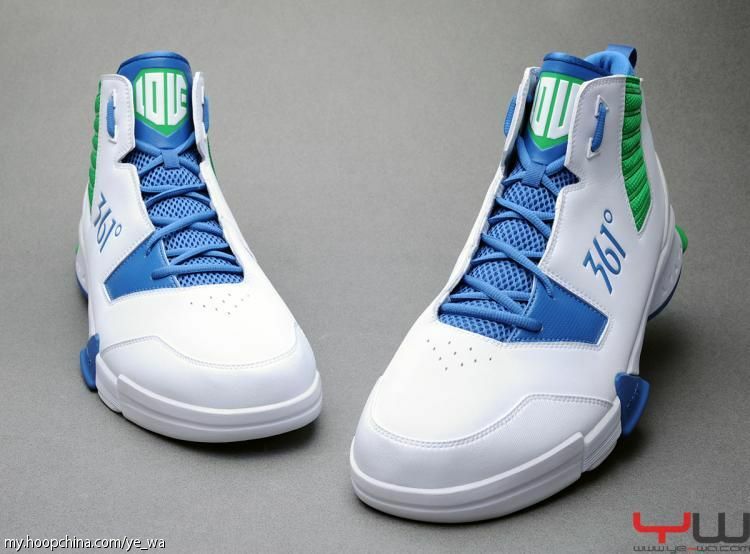 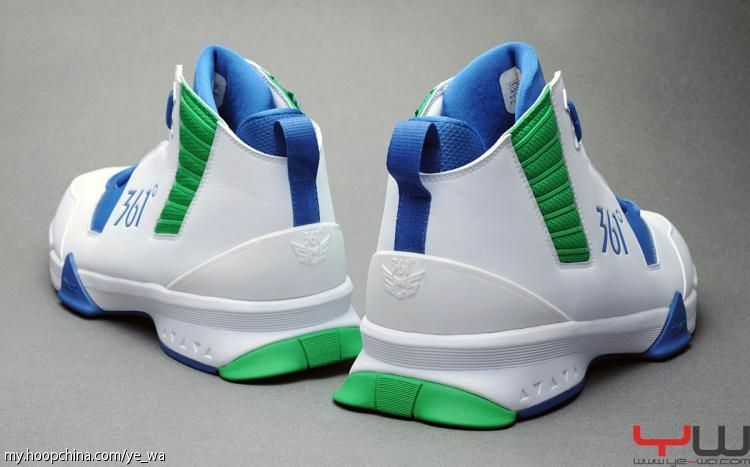 Currently making the rounds as the Kevin Love 1, the white-based high-top features Minnesota-inspired green and blue accenting. 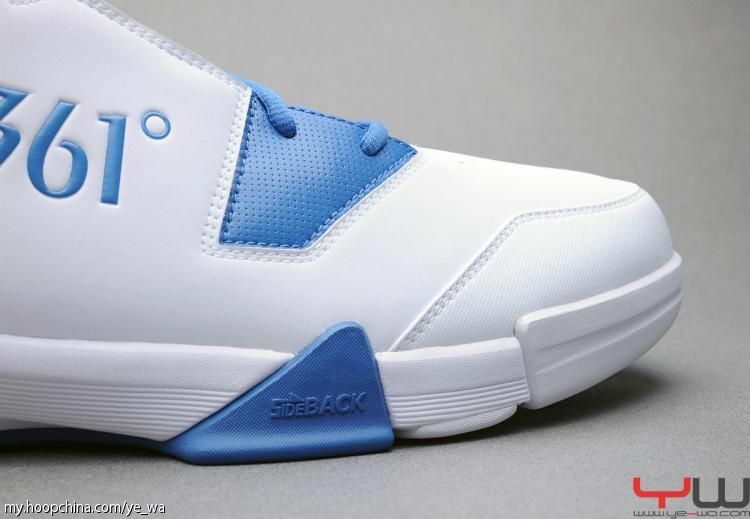 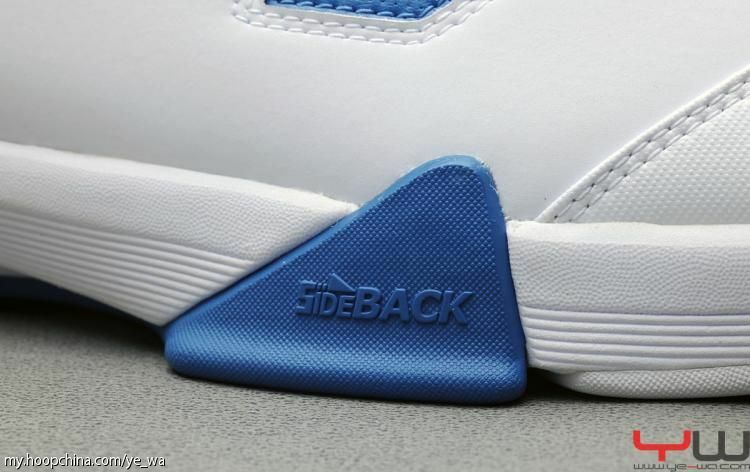 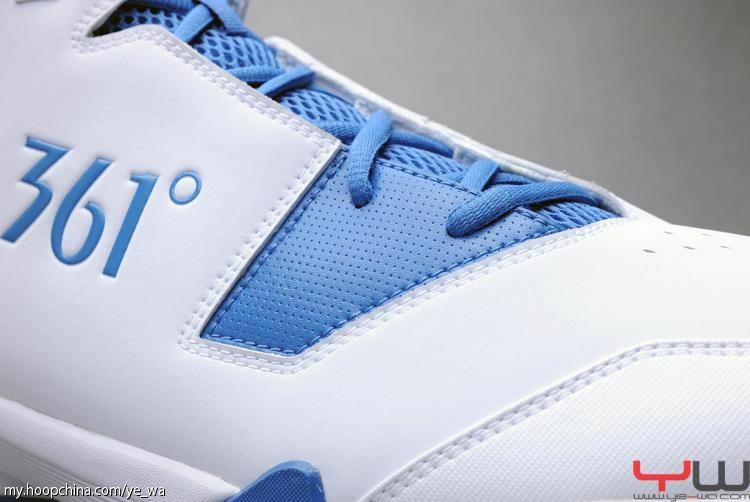 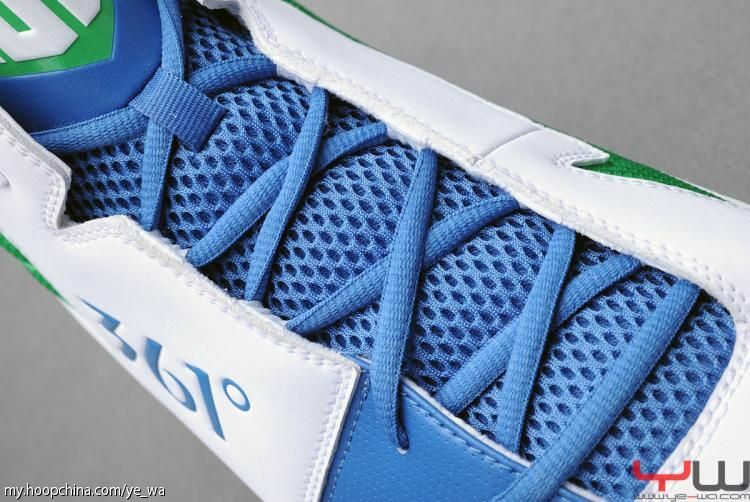 Blue appears on the tongue, laces, a breathable leather forefoot panel, inner lining, heel pull-tab and 361 Degrees embroidery on the lateral side wall. 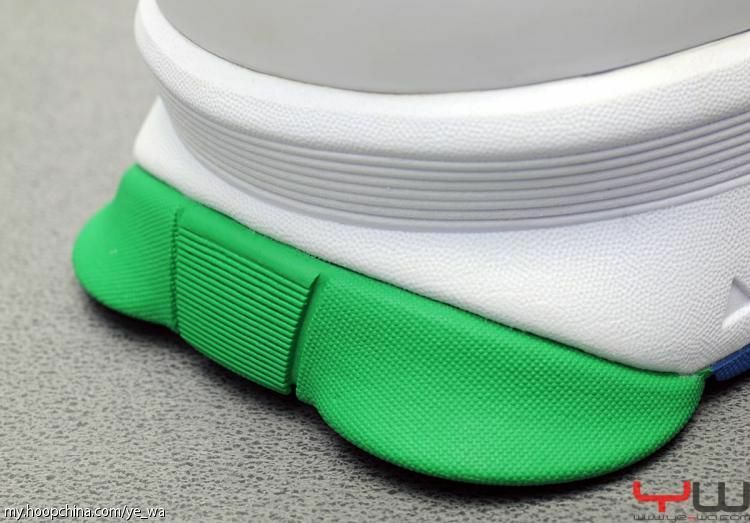 Green works mesh detailing on the lateral and medial side, which includes a Kevin Love stitched name band across the collar. 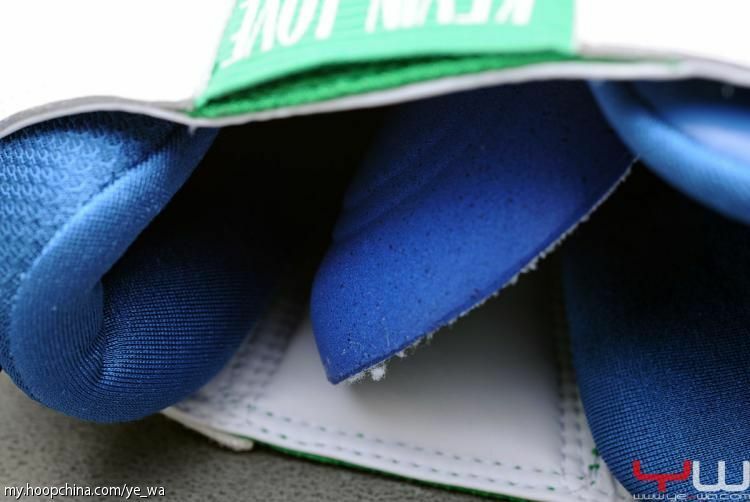 Also green is what may be Kevin's new logo on the tongue beneath white block lettering. 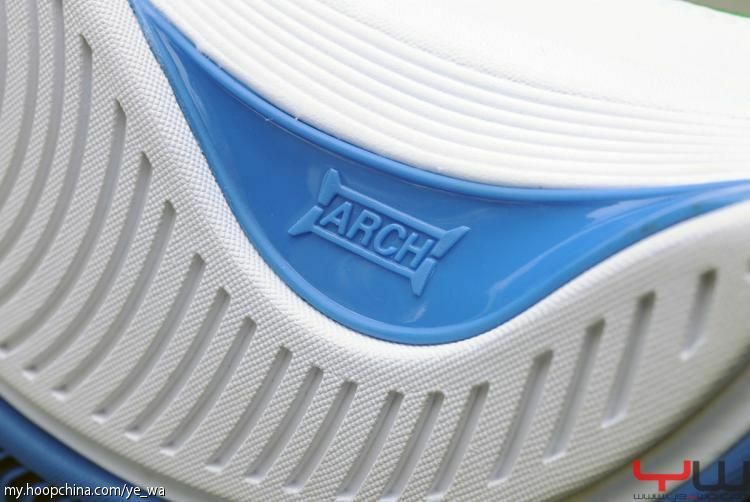 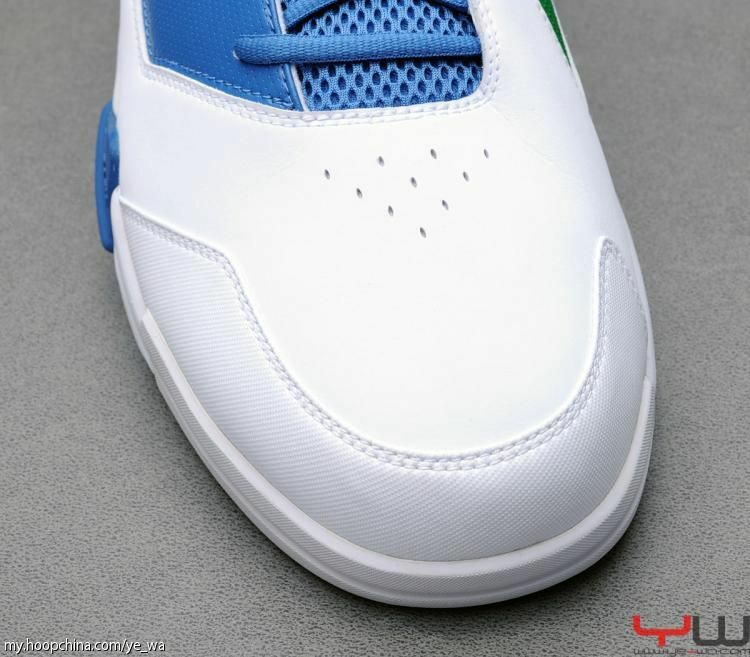 Below, a white midsole sit atop a white, green and blue rubber outsole with various traction patterns. 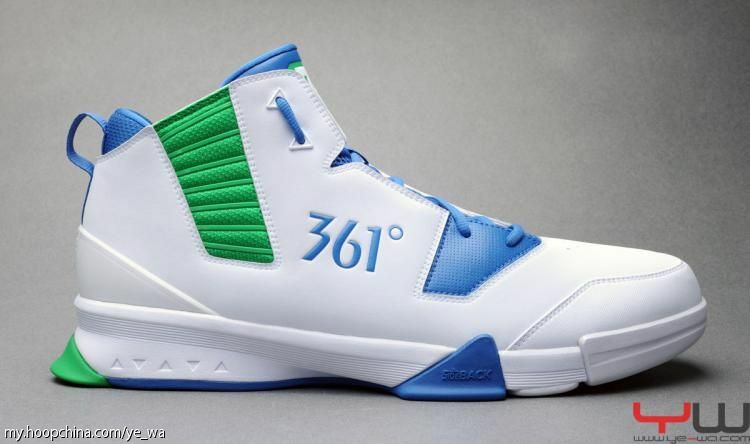 No word on when (or if) the 361 Degrees Kevin Love 1 will hit Chinese retail. 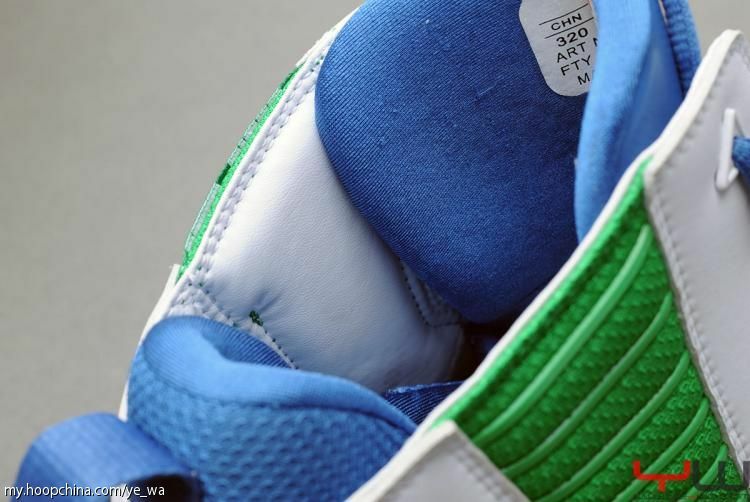 We'll keep you posted if we hear anything. 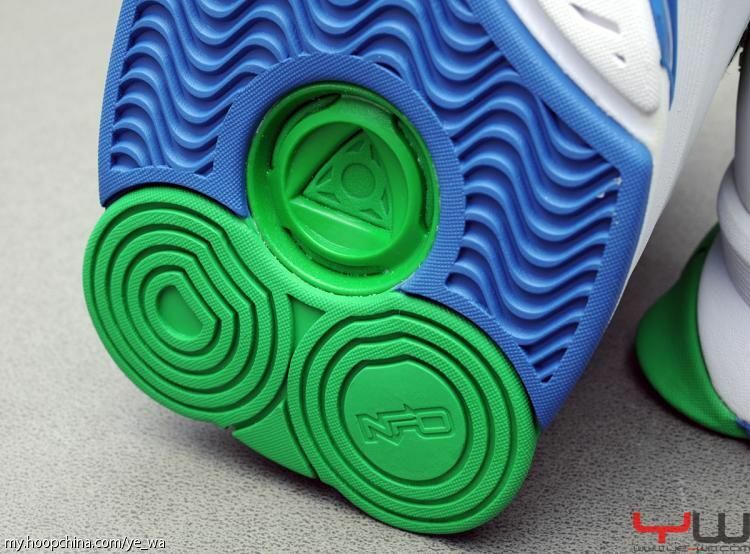 In the meantime, let us know what you think about the design of this model. 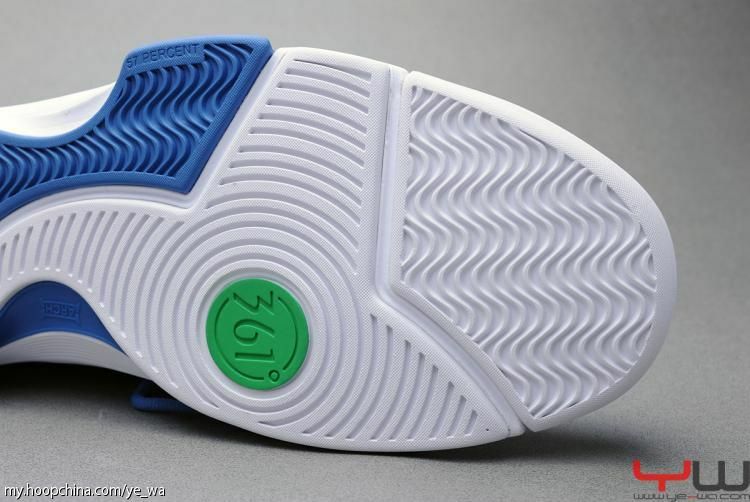 How does it stack up against shoes that 361's China competitors are dropping?